During the last year Peter and I have been doing more hiking. When packing for a hike I always look for new snack ideas to take on the trail. Jerky, protein bars, dry fruit etc… Last fall while I was rummaging through Whole Foods I discovered Bounce protein balls. Handy little bars packed with protein, low in calories and almost no carbs. They are small, taste good and are easy to pack. My favorite flavor is cacao mint. Yummy! Peter’s favorite, peanut butter. My only beef about them is they are expensive. £2 for a little ball. This got me thinking I could find a recipe and make them myself. Every new year I seem to get in the “New Year, New You” mode. I am trying to find a new way to cook and eat better for ourselves. Last year I tried to go gluten-free. We lasted till about mid February. We may not have lasted but I will say this, we became more conscious about what we eat, especially in terms of gluten. After the gluten-free period we purchased a vitamix blender and we often just have kale juice for breakfast or with our steaks at dinner time. We rarely have any starch anymore. This year it’s protein! We came back from Xmas, I bought myself a protein cookbook and I have been testing out recipes every other day. Banana protein muffins, protein blondies, almond protein bars, protein donuts…you name it, I am trying to put some whey protein powder into it. Problem is, everything taste the same. As soon as you put some whey protein powder or casein powder you get the same results. A bit of a chewy muffin with a banana or vanilla after taste. 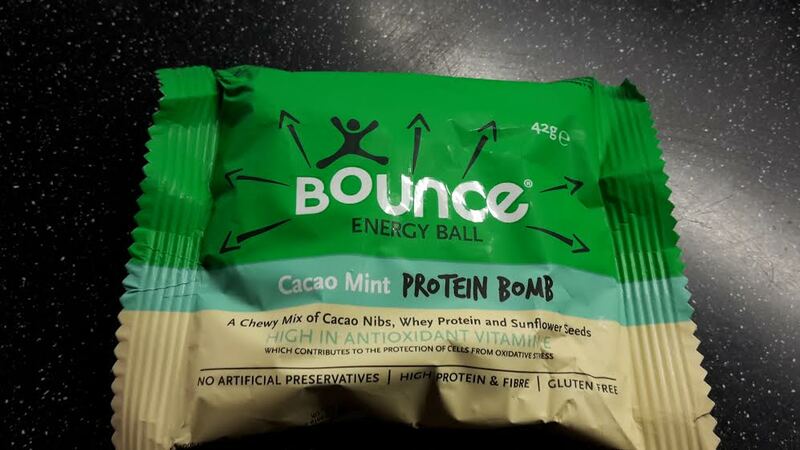 I have even tried to reproduce the cacao mint bounce ball and I just had to throw everything out. YUCK! Just not the same as the Bounce ball. Maybe it’s because I didn’t put any grape juice, brown rice malt syrup, some kind of gum and sunflower lecithin….all this time and money wasted on reading and thinking about protein. I blame the Bounce ball. AND, we didn’t even get through the month of January and my ALL PROTEIN cookbook has been stowed safely on the shelf with its cousin the Gluten-Free cookbook. I will now go back to making the flax-seed/oatmeal raisin cookies and the peanut butter bran cookies that actually taste good and I will look for sales of cacao mint Bounce balls, (I am hooked and I just can’t reproduce the taste). Side note and a little rant: Why can’t I get ground turkey in this country? By country I mean UK. In trying to make my own turkey chili for dinner I have to buy turkey breast and cut it in tiny pieces myself. Frustrating! I don’t like lamb and pork as much as turkey. I want ground turkey! Peter if you are reading this before coming home, tonight’s dinner is turkey chili with gluten-free corn bread. YUM!